Oftentimes on Good Friday, I try to focus on one or another of the persons mentioned in St. John's Passion narrative. Maybe the Blessed Virgin or St. John himself. Pilate, Barabbas, Simon Peter, Joseph of Arimathea, Mary of Magdala, or Nicodemus. But today, I want to talk about someone who is not mentioned by St. John. Earlier this afternoon, Catholic students here at BU did a live Stations of the Cross in the middle of Marsh Plaza. 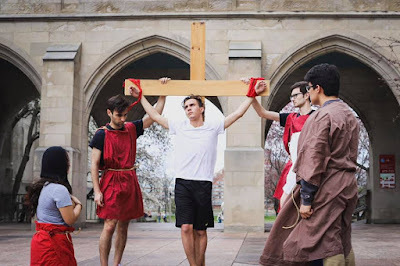 There, in the middle of campus, they acted out the Passion and Death of the Lord. As they did so, I was struck by all of the people passing by. They were busy living life. They were getting on and off the Green Line, getting on the bus to West Campus, making their way to class. Some tour groups passed by. Even though they didn't know it, they too were taking part in the Stations of the Cross. They were, what you might call, "extras." They actually played an important role. At the center of everything was Jesus and all of the main characters. Some, like John, Mary, Simon of Cyrene, and the women had definitively chosen to stay with Jesus. Others, like the soldiers and Pilate were clearly against Jesus. On the peripheries, however, were people who passed by as though this event taking place had nothing to do with them. They were busy. They had to get places. Maybe as they passed by, they thought, "Yeah, I should probably be more religious." Or maybe they thought, "Those crazy Catholics." But, for the most part, their role was to pass by. This Jesus and his death had nothing really to do with them. Between the main characters and those who didn't have time to stop were the rest of us. We were watching what took place, and it was as though we were suddenly faced with a choice. Are we going to live as though this event has everything to do with our life or are we going to pass by? See, if we're honest, we can all easily forget that His Passion and Death define our life. We can live as passers by. We have a vague sense that Jesus is important, but we have places to go and things to do. Today, Jesus cries out from the Cross, "I thirst." A few weeks ago, he thirsted by the well in Samaria. He told the woman that he wanted a drink. He did not merely want water from her. He thirsted for her Faith. He thirsted for her to put her Faith in him, to trust him; to trust that He could give her what she had been searching for in vain for all of her life. He thirsted for her to surrender to him and to trust that he would bring her the happiness that had long eluded her. Today, Jesus cries from the Cross, "I thirst." He thirsts for our Faith. If we're honest, all of us hold back from trusting Jesus completely. There's a little "passer by" in all of us. There's a hesitancy in us. We are afraid to surrender certain parts of our life to him. All of us can act at times as though what happens on the Cross is not absolutely critical and central to our life. We can be busy about many things. We can pass by hurriedly, but no matter how frenzied life might be, we can hear his voice today through all the noise. He's calling out to us, "I thirst." "I thirst for you. I thirst for your love. I thirst for that part of your life that you are keeping from me. I thirst for that part of your life that you hide from me, that you refuse to surrender. I thirst to be the one who defines your life. I thirst." 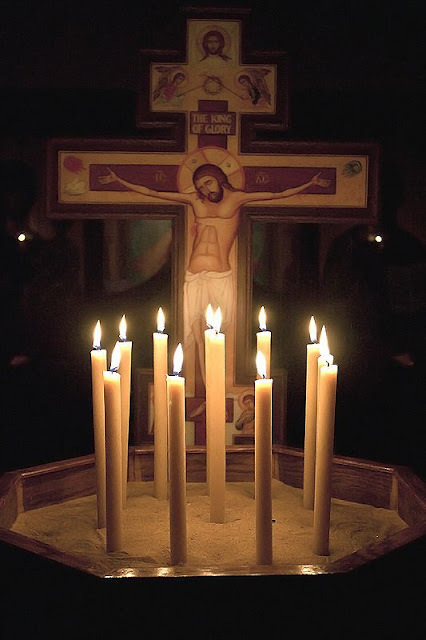 In a few moments, we will all approach the crucified Lord and reverence the wood of the Cross. As we do so, let's remember that he is calling out, "I thirst." He's not crying out to some vague or anonymous crowd. He's crying out to you personally. Will you give him your heart or will you be a passer by? He thirsts. And you must now make a decision. The other day, I received a text message from a man who was a high school student when I was a newly ordained priest. He and his family became friends of mine and we've kept in touch over the years. He was texting me photos of the beach in the Bahamas where he and his wife are on vacation. He wanted to let me know that he is enjoying warm, sunny weather and that he hopes I'm enjoying the cold, rainy weather here in Boston. Nice guy. After we texted a bit, I recalled another time he texted me, about two years ago. His mother had been sick for quite a while, but she took a rapid turn for the worse and he called to see if I could come visit her in the hospital. As it turned out, I would visit her on the night before she died. I've been at the bedside of hundreds of people at the moment before they pass from this life and go to the next. It can be an extraordinary moment. Being present at the side of this woman on the night before she died stands out in my mind. When I entered the room, which was fairly dark, I greeted her family members. They said to her, "Fr. Barnes is here." I was preparing myself to offer some words of consolation to her. Instead, she said, "Oh, Father Barnes! It's so nice of you to come. Thank You. How are you doing? How are the kids at BU doing? Tell me about them?" At a moment when she would fully be within her rights to be concerned about herself, she was thanking me and asking about the people whom I serve. There are words that I have spoken daily for twenty-two years. They have never really struck me because what follows them are the most important words. "On the night before he died." Or, "On the night he was betrayed." Or, "On the night before he suffered." These words never stand out to me because it is the words that follow these that are the most important. "This is my Body. This is My Blood." But today, these words really strike me. Tonight, we are with Jesus on the night before he died. We are with him in this privileged moment when he prepares to pass from this life to the next. He is the one who is about to be betrayed, to suffer, and to die. And what does he think about in this moment? He thinks about you. On the night before he died, Jesus thought about you. He loves us to the end. He spends the night before he dies, loving us. He expresses this love by giving us three gifts. Firstly, he gives to you the gift of the priesthood. True, none of you are ordained priests, but all of you--all of us--are recipients of this gift of Jesus' love. On the night before he died, Jesus gave to us the gift of the priesthood. This gift of his love is given so that the presence of the Good Shepherd can be prolonged in every age and place. Through the priesthood, Christ loves us by teaching us with his Word, absolving us from our sins, and feeding us with His Body and Blood. On the night before he died, Jesus loved you and gave you the priesthood. Secondly, on the night before he suffered, Jesus gave you the Eucharist. He thought of you in that upper room. He loved you and wanted to remain with you in the most intimate of ways. In this gift, Jesus remains with you and transforms you into himself. He who is Love Incarnate opens a way for us to be caught up into Divine Love. In the Eucharist, Love Himself enters into our soul and transforms us from the inside. The image of Christ becomes more and more alive within us, enabling us to love to the end. On the night before he died, Jesus loved you and gave you the Eucharist. Thirdly, on the night before he suffered, Jesus gave to us an example. He emptied himself--lowered himself--and washed the feet of his apostles. In doing so, he showed us what love is. And then, he commanded us to love. He showed us how to love to the end. So many people feel trapped in anger, trapped by circumstances, trapped by their past. They feel imprisoned by their faults and failings. They feel as though there is no way forward, no way out. But Jesus shows us that there is a way. On the night before he suffered--at the moment when fierce enemies were closing in on him, surrounding him, and taunting him--at the moment when close friends were betraying him, denying him, and abandoning him--Jesus loves them. He loves them to the end. He loves us to the end. And so, on the night before he suffered, he gave to us an example, a reminder that love makes us free. He loves us to the end and allows us to do the same. On the night before he died, he taught us how to love. The woman I mentioned earlier died such a beautiful death because she had been transformed by the One who loved her. She knew that Christ, on the night before he died, loved her to the end. She lived a life of receiving the gifts of love that Christ bestowed upon her and she was transformed by this love. She was loved to the end and was made able then to love to the end. This is the Catholic life. Dear Friends, tonight we are with Jesus on the Night before he died. What a privilege to be with him at this moment. And as we stay at his side in this sacred moment, he does something that we should never forget. He loves us. And he loves us to the end. There's a Latin aphorism that says, "Lex orandi, lex credendi," which basically means, "The law of praying is the law of believing." In other words, if you want to understand what we as Catholics believe, one way to do that is to look at the way we pray. The Liturgy instructs us about what we believe. Even though I entered seminary thirty years ago, I still find myself surprised by the Liturgy of the Church. Every so often, a word, a phrase, a symbol, or part of the liturgical calendar causes me to pause. I love these moments because they are a clear indication that the liturgy does not require innovation on our part or the insertion of novelties in order to teach us something new. I had one such moment at the Chrism Mass this Holy Week. "To you, therefore, O Lord, we pray, that by your blessing you may graciously sanctify the rich substance of this oil that you have created, and permeate it with the strength of the Holy Spirit by means, too, of the power at work in your Christ, from whose holy name is named the Chrism, with which you have anointed your priests and kings, prophets and martyrs." Added to the usual list of "priest, prophet, and king" is the phrase "and martyrs." I was really struck by this. This prayer instructs us that all who have been anointed with Chrism have been anointed for martyrdom. We have been anointed to be witnesses. "Martyr" means, "witness." Inherent with every anointing with the Sacred Chrism is a new configuration to Christ. This interior configuration, however, is given not simply for our own benefit. It is bestowed so that we can witness to Christ. It is given so that our life can bear witness to the truth that St. Paul proclaims: "It is no longer I who live, but Christ who lives in me (Gal 2:20). Whether in Baptism, Confirmation, or Holy Orders, the person anointed is strengthened to bear witness to Christ. This witness--this martyrdom--requires and assists us in dying to ourselves. We witness to Christ by dying with Him. We sometimes think of "witnessing to Christ" as an add on to being a Christian, but the prayer makes clear that we are anointed as martyrs, as witnesses. This anointing to martyrdom is not a punishment. It is a privilege. It is also a relief. Why a relief? If we were simply "called" to bear witness to Christ, that might leave us feeling overwhelmed by a task beyond our capacity. Or, such a call could feel a bit like being summoned for jury duty, an unwelcome interruption to our life. No, we haven't merely been summoned to some unpleasant duty. We've been anointed for a privileged vocation. We've been chosen and anointed to bear witness to Jesus Christ, the Savior. Witnessing to Christ--making Him known by our way of life, by our words, by our love, this is a sacred mission entrusted to us who have been anointed by our Savior. In an age when the light of Christ is increasingly obscured by the growing shadows of secularism and by ideologies antithetical to Christian anthropology, the world and Christians themselves require martyrs, witnesses. I see this clearly in my work on a college campus. When the predominant culture dismisses, mocks, and is antagonistic toward the Christian Faith, it can be extraordinarily difficult for young people (or any person) to remain faithful. And yet, a witness changes everything. A witness introduces hope into the bleak horizon that the absence of God inevitably brings. The martyr--the anointed witness--awakens in the other a remembrance that beauty, goodness, and truth do exist. The witness enters into the darkness of others and pierces their soul with the warm light of Christ. The witness saves others from the lie that life is empty and lacks meaning. The witness awakens within us a recognition that we have an eternal destiny. When I see the men and women at our Catholic Center living their life together, I see that they are saving one another. By witnessing to one another, they save each other from the grasp of the darkness that surrounds them. This is true also for parish communities. When we live life together in Christian friendship, we witness to one another and to others that Christ is true. When we are surrounded by friends who are witnesses, we experience the freedom that only Christ can give. What saves me every day is living life among witnesses. They are witnesses because they have been anointed. They have been anointed with the Chrism that makes martyrs. Thank God for Chrism and thank God for His witnesses, men and women, young and old, who daily allow Christ to live in them and to use them as instruments to save us. What Do Women at Wells and Barren Fig Trees Have in Common? For reasons that are not necessary to explain here, on the Third Sunday of Lent, there are two options for the readings. I have two Masses today, one with the "Year A" readings and the other with the "Year C" readings. Not really wanting to preach two entirely different homilies (because I'm lazy and not that bright), I wondered if I could find a similarity between the Gospels. In Year A, we hear from St. John about an encounter that Jesus had with the woman at the well. 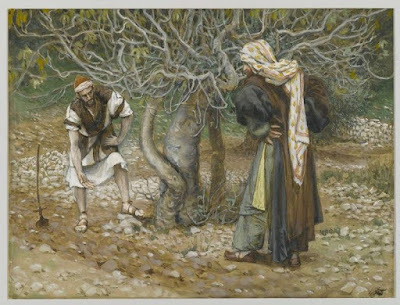 In Year C, St. Luke recounts a parable that Jesus told concerning a fig tree that was planted, but did not produce fruit. Is there any commonality between the fig tree and the woman at the well? The beautiful gospel concerning the woman at the well is bursting with profound spiritual insights for us. This year, as I pondered this gospel, one thing particularly struck me. 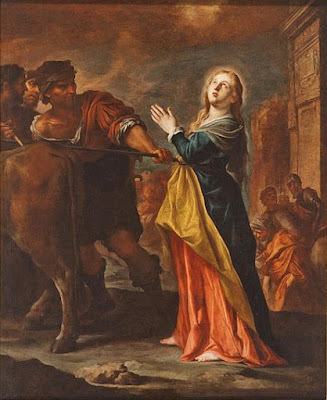 St. John tells us that many of the Samaritans came to believe in Jesus "because of the word of the woman who testified, 'He told me everything I have done.'" In today's world, the internet is filled with people revealing and reveling in the faults of others. Whatever you say or do today might be posted on a video tomorrow. There is a perverse and twisted world of entertainment built up around the public shaming of others. Leave a bad tip at a restaurant? Be prepared to have your name and face plastered all over Facebook and Twitter. Do something or say something stupid when you're young and immature? Be prepared to have it online forever. Imagine if today somebody came up to you and said, "I know everything you've done," and then began recounting those things to you. "I know what you have said about your friends. I know what all of your text messages say. I know what you've watched online. I know how much you gave to charity last year. I know what lies you've told, what things you've cheated on, and what gossip you've participated in. More than likely, this would terrify you. "What are they going to do with this information? Are they going to share all of my faults with others, embarrass me, blackmail me?" Chances are, if somebody told us that they were aware of every one of our faults and failures, it would, at the very least, make us uncomfortable. But what happens with the woman at the well? She goes and tells everyone and they come to believe in Jesus. Why? It has to be because of the way in which Jesus treats her and her sins. He does not shame her or humiliate her. He doesn't condemn her. Instead, he provides an opening, a moment to convert. He offers her the opportunity to receive life giving waters. In this encounter, we see the whole Christian life! She encounters Christ, hears and trusts in His Word, receives His love, and goes and shares this Good News with others! Jesus does not enslave her by chaining her to the memory of her sins. Instead, he frees her from those chains. St. John tells us that she left the water jug at the well and ran off into the town. She no longer needed the jug because she no longer needed to search for fulfillment elsewhere. She now had welling up within her life giving waters. In the parable of the fig tree, Jesus makes clear that if the tree doesn't bear fruit, it will need to be cut down. All of us have been planted by the Lord, but we are planted in order to bear fruit. A time will come when we will be judged. Either we bear the fruits of holiness or we are barren. At a certain moment, we will have to give an account of our life. Sometimes we hear mercy spoken about in a way that sounds like, "God is merciful so I can keep on sinning." But this is not mercy. Mercy means that God is giving us time to repent. Lent is a time of mercy precisely because it is a time of repentance. The Lord gives us the fertilizer of His Word. He gives us the Sacraments. He gives us the spiritual weapons of prayer, fasting, and almsgiving. He gives us TIME. He gives us THIS time. It is a gift to us so that we can repent and be given new life, a life welling up within us. He gives us this time so that we can be free from our past sins. A worthwhile exercise for all of us this week is to honestly examine our life. We can do that without fear in the presence of the Lord. We need not hide anything from Him. He loves us. Are we bearing the fruits of holiness or are we barren? Are we enslaved by some sins? Whatever our sins are, let us not be afraid to honestly and humbly share them with Christ. Unlike the Devil and the world, Jesus opens up a new way for us. He does not leave us dead and shackled, he gives life and freedom. He gives us the present moment filled with His Grace. Jesus offered to the woman at the well and to the fig tree something that the Devil and the world do not offer. He offered them a second chance. He offers it to us as well. What should we do with this second chance? That's easy. Repent. The ancient Roman Martyrology preserves for us the brutal and glorious accounts of the martyrdoms of the saints. Although various legends that grew up around certain saints are often mixed in with these accounts, the legends themselves offer to us profound spiritual nourishment. Today, in fact, would be such an example. The Church today celebrates the Memorial of St. Lucy, a virgin and martyr of the Third Century in Sicily. Little is known of this young saint who dedicated her virginity to Christ and sought to give away all of her worldly possessions to the poor. Denounced as a Christian, Lucy--say some accounts--was ordered to be forced into prostitution. The legend goes that when the guards came to take Lucy away, they could not move her. She had become like an immovable column. Even after a team of oxen were put to the task, Lucy could not be moved. Unable to move her from the spot, they tortured and martyred Lucy where she stood. The legends surrounding Lucy's exterior immovability offer to all of us a salutary insight into the interior life of sanctity. Lucy was immovable because she possessed the grace of constancy. Constancy is the virtue whereby one is made able to stand firm in some good act in the face of external obstacles. Lucy sought to give herself entirely and solely to the Lord. She was surrounded by the threats of political officials and soldiers, but she remained constant in her determination. In other words, even a team of oxen could not drag her away from her good resolution. Constancy is connected to the virtue of perseverance. Perseverance is put at risk by two opposing vices. St. Thomas Aquinas says that "soft-living" makes a person less likely to persevere in a good act because doing so might require the person to surrender certain pleasures which they have become unduly attached. Soft-living disposes us to taking the easy way out and avoiding situations that may require effort on our part. For those of us who are in the the clergy, it is easy to see how this is, in fact, quite true. We can be dragged away not by teams of oxen, but by our fear of losing human respect, power, or pleasure. On the other side of the equation is obstinacy. Obstinacy "looks like" perseverance, but it is not perseverance. It is less a holding on to the truth as it is a holding on to one's own opinion. Obstinacy arises from vainglory and seeks to "win" at all costs. 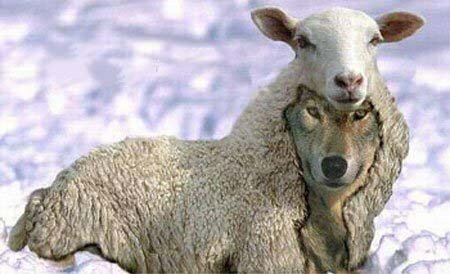 We see this, unfortunately, quite often in the life of the Church. Obstinacy can become a cheap imitation of perseverance. But St. Lucy offers us a tell-tale way of determining the genuine article from the cheap counterfeit. St. Lucy, a young woman is surrounded by powerful men--political leaders and soldiers. They seemingly hold all of the power--and her fate--in their hands. You can imagine them all brandishing weapons, shouting commands, and binding her to the team of oxen. They are the ones moving in violent contortions and rhetoric. In the midst of that scene, is Lucy, serene, peaceful, and immovable. And in this, I believe, is the tell tale sign of the genuine article. Lucy did not insert herself into a controversy. It was not her own will that she was attached to, but Christ. There was an interior peace in Lucy that was in stark contrast to the violence and chaos surrounding her. Those who surrounded Lucy were obstinate and given over to soft-living. They were used to being given whatever they wanted and they refused to be moved by anything other than self-will. Lucy--in her tranquil and peaceful constancy--puts the wicked to shame. Her purity and goodness shines ever more brightly in the midst of their darkness. On her feast day, we might ask St. Lucy to intercede for us. We are often dragged from Christ and His Will for us--not by teams of oxen--but by the love of pleasure and of inordinate self-love. Through St. Lucy's intercession may we be freed from our attachments to soft-living and to our own wills so that we might always remain--no matter how difficult the circumstances that surround us--constantly and immovably attached to Christ and His Will for us. I often say that there doesn't seem to be as many "characters" around as there used to be; people who stand out for their zaniness, humor, eccentricities etc. 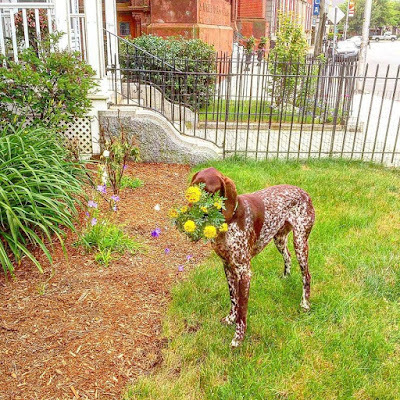 Finbar, my German Shorthaired Pointer, he was a real character. Yesterday, unexpectedly I had to put him down. It was and is a real heartbreaker. Pretty much I've spent all day every day for the past ten years with that dog. He came to work with me every day and went home with me every night. As a puppy, he ate several phone cords, my glasses, somebody's phone, socks, gloves, those plastic Britta Filters with the charcoal inside, and a fish head that he found on the beach. I thought it would never end. I recall one late December day sitting in my rectory office and hearing people laughing. I looked out the window and saw about fifteen people watching Finbar whip the statue of Baby Jesus from the outdoor manger around the yard. He'd grab an arm or leg and fling it to the other side of the yard and then retrieve it. He was a character. I swore he'd never get on my bed. But he wore me down. Around 5am each day, he'd appear at the foot of my bed and just stare until I said, "Fine." Then he'd jump up and go back to sleep. Then, 5am became 4am and 4am made it's way to Midnight. He was a character. 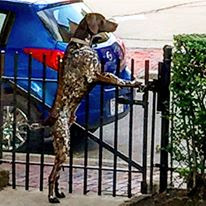 He had a knack for charging the rectory fence to scare unsuspecting passers by. More than one he sent into snowbanks as they tried to escape. Then, they'd laugh as they realized that Finbar wasn't a vicious dog, but just a clown. Well, most of them laughed. He was a character. 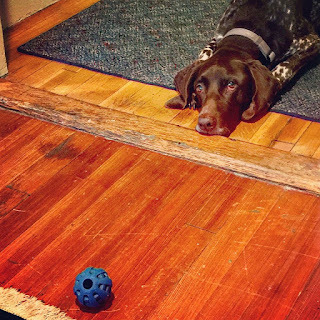 When my phone rang or beeped, Finbar would wake out of a sound sleep and wait for a cookie. He would whine and bark until I relented. The same thing went for anyone who came to my office to speak. It was a clever tactic. Since I couldn't hear the person I was speaking with--whether on the phone or in person--with Finbar barking, I would always have to give in to his demand. He was a character. 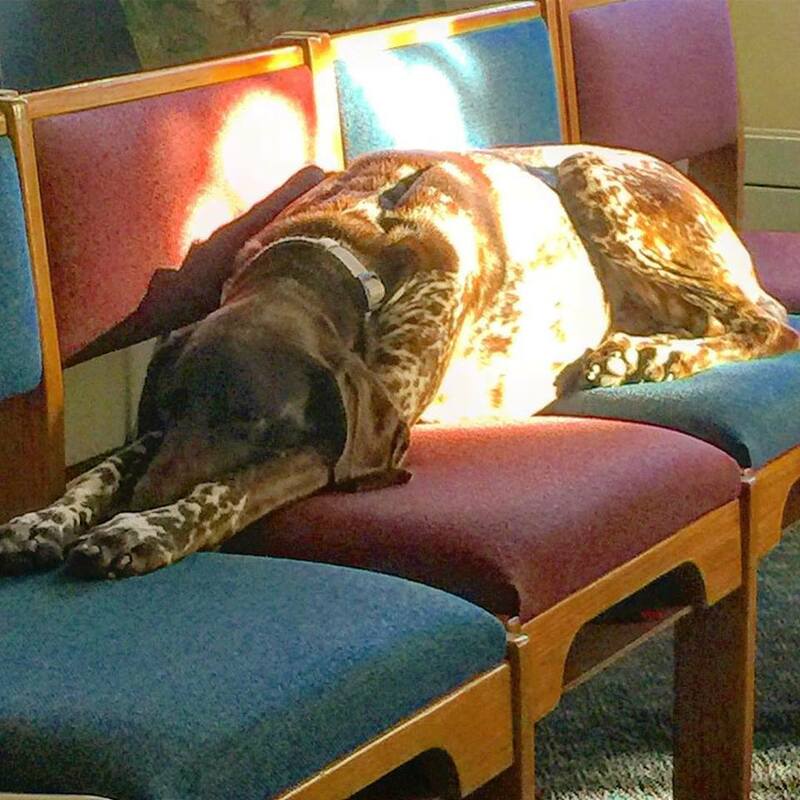 daily Mass chapel is more like a room in a big house, so there really wasn't a way to keep Finbar out. He'd often stay in another room, until he heard us singing the Alleluia for the Gospel. Then he'd make his move. He knew that's when everyone stood up, so he'd sneak in and steal a couple of seats. If you sat in the seats where the sun was, you were going to lose that seat. He was a character. side, I knew he would be laying on the ground somewhere staring pathetically at his ball, waiting for someone to give in and throw it. He could chase that thing for hours. He had an endless supply of tricks that he would do. He was a character. A lot of people who might not ever speak to a priest, stopped and talked to me because of Finbar. I liked to tell people who were nervous about confession that Finbar had heard hundreds of confessions with me and never once revealed anything that he heard. On the rare occasions when I actually got to go out without Finbar, I knew that if I looked up into the window, he'd be standing there staring pathetically down at me as though I had betrayed him. Yesterday as I left work and looked up, how I wished that my pal was there looking down at me. "Man's best friend," they say, and that he most definitely was. 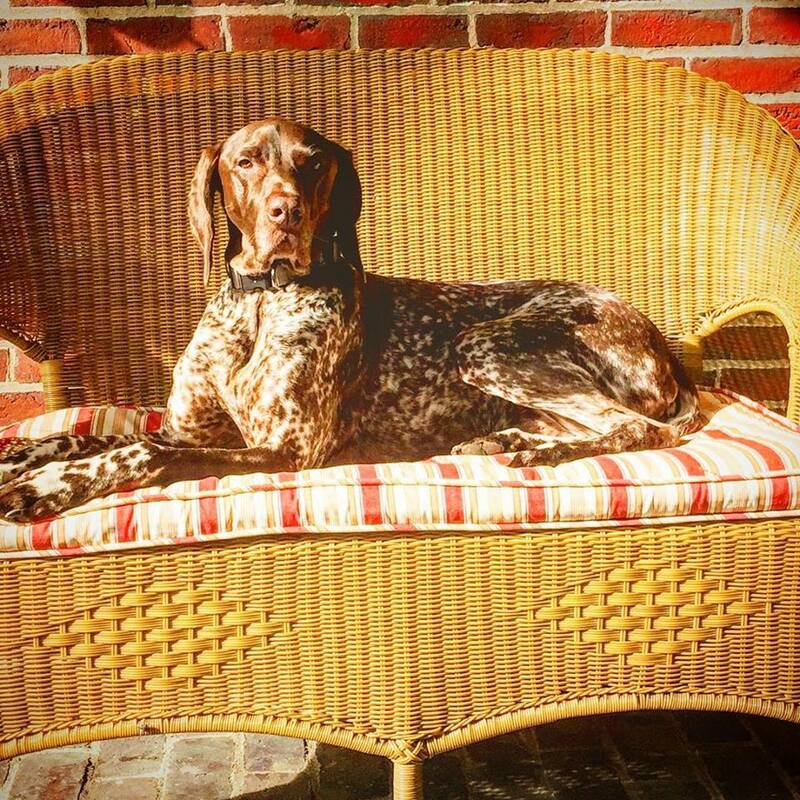 He was a noble dog, a faithful friend, and a real character. Is it a bit crazy to write so warmly and glowingly about a dog? It probably is. Maybe that makes me a bit of a character too. 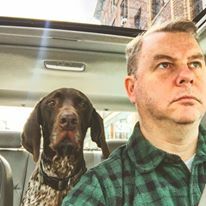 But I needed to say a word or two about my buddy Finbar. I'll miss him. He was a character. He was a good boy. Thanks Finbar.